Freestyle motocross rider Robbie Maddison training at home! | IAMABIKER - Everything Motorcycle! Home News Biker News Freestyle motocross rider Robbie Maddison training at home! 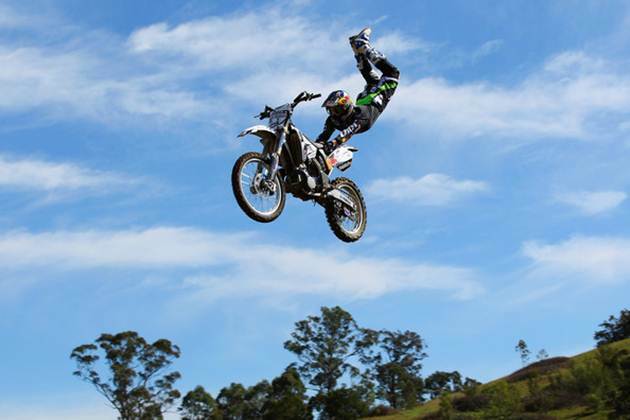 Freestyle motocross rider Robbie Maddison training at home! DC shoes spent the day with Maddo at his home, turned training facility, in Temecula, CA, to chronicle what makes Maddo such an incredible rider and competitor. His dedication and drive are showcased in this spot. Most recently, Maddo put the finishing touches on the new foam pit in his front yard where he’s been spending countless hours training for the X-Fighters competition series and Summer X Games 17. And proving that hard work does pay off, Maddo just took 2nd place at the X-Fighters Brazil event behind his neighbor, friend and DC teammate, Nate Adams.